Grace’s biography. Not really, but “part” of biography. Since English is my second language, I have to put 110% effort on English subject. It was one of the hardest subjects since middle school. This year, I started off strong but when it came to second semester, the grade slowly dropped. So many questions came to my mind such as “Am I not giving enough effort?” I usually tend not to participate in the discussion. It is because of my timid personality but also because I don’t want to say something wrong in front of other students and get embarrassed. Because of my grades were going down, I had to participate in the discussion somehow. So I spent time preparing and answering questions beforehand and changed my habit! For discussion, since we have to fully understand the book in order to say something, I started to think about different ways for approaching a book. I thought of it from author’s point of view and reader’s point of view. I started to get used to interpret the theme of the book to the modern society and think about the relations. Overall, throughout the year, I got to be more talkative and voluble compare to the beginning of the year. I learned that everything has relations; it’s just you have to think of it from different aspects. What is SAT? It is a college admission exam that is taken by most of the students around the world. The colleges require the students to hand in their SAT scores in order to get an idea of the student’s knowledge; there are few parts to this test which are math, reading and w riting. These are the subjects that are taught in every school worldwide. 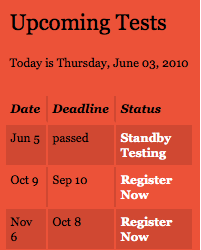 Mostly this test is taken by the juniors or seniors. Nowadays, few students take it in sophomore year for them to get an idea of how it’s like or to study in advance. SAT and high school GPA decides one’s college. The reason why people study so hard to get a good score on their SAT is to get into a good college. It is one of many factors that colleges consider and look when they make their admission decisions. There are also something called “SAT Subject Test”. It is an additional opportunity to show colleges what one know and what they can do. This is also for the admission also to advise students for their course selection. Some colleges require students to take this test besides SAT. 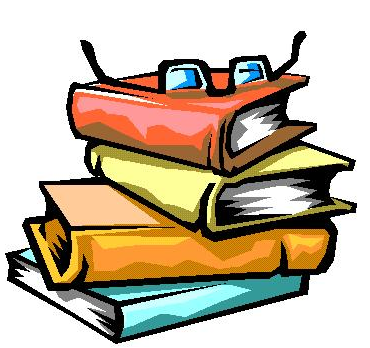 There are twenty subject tests: Literature, U.S. history, World History, Math level 1, Math level 2, Biology/EM, Chemistry, Physics, French, French with Listening, German, German with Listening, Spanish, Spanish with Listening, Modern Hebrew, Italian, Latin, Chinese with Listening, Japanese with Listening, and Korean with Listening. There are several times when students can take SAT per year. Mostly, students take it during the spring of their junior year and a second time during the fall of their senior year. Facebook is a website for people from all around the world to socialize. It was made in February 2004. It is a place where anyone can be a friend with anyone. One can send friend requests and messages to strangers; but the person has a choice of refusing the request or accepting it. The users can join networks such as school, workplace, where you live and more. This website has age limit to become a user; one has to be age of 13 or older. BUT! Most “young” users lie about their ages and join because Facebook don’t have precise process of joining the website. The founder of Facebook was Mark Zuckerberg, and his friends, Eduardo Saverin, Dustin Moskovitz and Chris Hughes. First the user limit started with Harvard students. Then, it was expanded to students in the Standford University, Boston area, and the Ivy League. Then later, it expanded to any students in high school and university. In the end, it expanded to anyone who is 13 or over. Some countries such as China, Iran, Vietnam and Pakistan, have blocked Facebook. It is banned in a lot of working places because it takes a lot of time from employees. This website is one of the most popular sites; first of all, because it has innumerable users. Once you join it, you cannot get out of it. Facebook is so addictive that it distracts one from concentrating. Most students take time going on facebook if they have mac or computer logged on in front of them. One can deactivate their account, but if you log in again, it activates your account right away. Facebook is a fun and harmful place at the same time; it is a place to socialize with friends, but on the other hand, it takes a lot of time from us. I waited 4 years for this….I’m not a big fan of World Cup soccer, but I enjoy watching and cheering for our country. FIFA World Cup, also called the Football World Cup, is a soccer competition between the countries internationally. The soccer team members can be only men. The tournament involves 32 teams. In 2006, the World Cup was held in Germany. 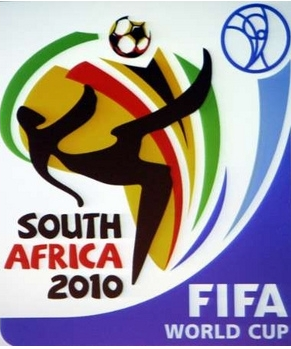 This year, it is held in South Africa from June 11th. After four years, in 2014, the World Cup will be held in Brazil. The chart below shows the groups for the tournament. Korea will be playing against Greece first, Argentina and then Nigeria. 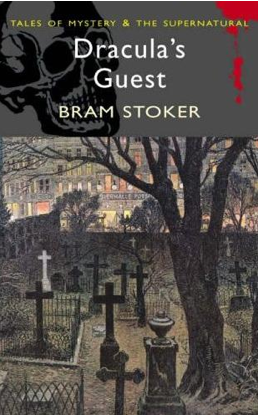 Compare the chapter “Dracula’s Guest” with the published version of Stoker’s work. What is similar to Dracula? What is different? What elements of the Gothic genre can be found in this piece? Is it better or worse than the published version? Explain. – The chapter “Dracula’s Guest” is combined of many short stories written by Bram Stoker. It was published in 1914. There are eight short stories which are: “Dracula’s Guest”, “The Judge’s House”, “The Gipsy Prophecy”, “The Coming of Abel Behenna”, “The Burial of the Rats”, ‘A Dream of Red Hands”, “Crooken Sands”, and “The Secret of the Growing Gold”. From the original novel, Dracula, “Dracula’s Guest” was deleted from its first chapter. Stoker deleted it because he felt that the chapter was unnecessary. Let me give you a short summary of “Dracula’s Guest”. It is about an Englishman, Jonathan Harker, who leaves to Transylvania for his job. H e goes around Munich before his voyage. Because of his curiosity, he decides to leave his hotel one night even though the coachman told him not to. He wanders through the forest by himself. While he was wandering around, he felt like someone was watching him which was Count Dracula. A female vampire, Countess Dolingen, appears and meets Harker in the graveyard where a marble tomb is. A wolf appeared and attacked him. Later that night, he was brought back to the hotel and he found a telegram which was sent by Dracula saying that ” dangers from snow and wolves and night”. This one is a tough subject..like my teacher said. Hmmm…what do I like about learning. Well, some curious minds like learning but some people just couldn’t be bothered. If they had to choose between studying and playing, I bet majority of those people will choose playing. But students have to go to school every day during weekdays to learn for their bright future. Learning helps me and leads me towards a brighter future. The more I study, there is higher probability that I can achieve higher grades ( higher GPA) and higher chance for IVY colleges for me. Higher rank colleges mean a better job when I graduate. I always think about what I will become when I study because I have to be motivated by something; I have to have a purpose for studying. I like how learning leads me to a right path. It is my choice to study or not, but it will decide my future. So…What do I like about learning? All I think about is my future. How much I work hard now, everything will pay off when I become adult.